Natasha Lyonne is an American actress, writer and producer. She is best known for her portrayal of Nicky Nichols in the Netflix series Orange Is the New Black for which she received an Emmy Award nomination in 2014 and for her role as Jessica in the American Pie film series. 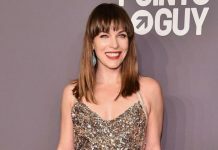 She is also a co-creator executive producer and writer for the 2019 Netflix series Russian Doll, where she plays the lead role of Nadia Vulvokov. She is also known for her nasal voice and thick New York accent. Natasha Lyonne was born on April 04, 1979, in New York City, New York, United States. She has Ashkenazi Jewish ancestry on both her parent’s side. Natasha went to a private Jewish school Ramaz School (aka The Rabbi Joseph H. Lookstein Upper School of Ramaz) in Manhattan, New York City. Lyonne graduated from Miami Country Day School in Miami, Florida. Natasha also studied film and philosophy from New York University, but left it after a short while. María Celedonio – Dominican actress María Celedonio and Natasha had fling with each other. Edward Furlong (1998-1999) – From January 1998 to June 1999, actors Edward Furlong and Natasha dated each other. Adam Goldberg (2001-2004) – From 2001 to 2004, actors Adam Goldberg and Natasha were romantically linked to each other. Michael Rapaport (2005) – Natasha was in a short-term relationship with actor Michael Rapaport in 2005. Fred Armisen (2014-Present) – Actor, screenwriter, singer, comedian, Fred Armisen and Natasha started dating in August 2014. They are still seeing each other. He is about 13 years her senior. Playing Jessica in the American Pie series and as Nicky Nichols in the Netflix comedy-drama series Orange Is the New Black. Her very first role in films was in comedy-drama film Heartburn for her role as Rachel’s niece in 1986. But, this role was uncredited. Her next film was in 1990 titled A Man Called Sarge in which her role was given credits. She played the small role as a Arab girl. Natasha made her television debut in the 1986 children television program Pee-wee’s Playhouse for her role as Opal. As a kid, she was seen in a Robotech doll commercial. Natasha has appeared in a commercial for Minute Maid. Natasha has also appeared in couple of PSA ads including Joyful Heart Foundation’s No More. Natasha Lyonne’s net worth is estimated to be $3 million dollars as of 2019. She lives in New York City. She along with her family lived in Israel for a short while before her parents divorced and she returned to New York with her mother and brother. Lyonne has revealed that she began to live independently after 16 and wasn’t that close with her family. She has a dog named, Root Beer. Lyonne made her New York stage debut in the award-winning New Group production of Mike Leigh’s Two Thousand Years. Lyonne has faced a series of legal troubles due to drug addiction. In the early 2000s, she was arrested for driving under the influence of alcohol, careless driving and fleeing the scene of an accident. She was released after posting a bond. She is close friends with her Orange Is the New Black (2013) co-stars, Laura Prepon and Taylor Schilling. In 2005, she was evicted by her landlord, actor Michael Rapaport, following complaints by other tenants about her behavior. In 2005, she was diagnosed with Hepatitis C, heart infection, and a damaged lung. She underwent an open heart surgery to correct the damage caused to her heart through infection. In 2012, she suffered from a heart infection and had an open heart surgery. In 2016 she began voicing the character Smoky Quartz on Cartoon Network’s Steven Universe. She has also appeared as various characters on IFC’s sketch comedy series Portlandia. In 2017, she won the Best Actress Award in the 2017 Fangoria Chainsaw Awards for her performance in Antibirth. In 2017 Lyonne was approached by Kenzo’s creative directors Carol Lim and Humberto Leon to direct the 5th installment in their short film series. 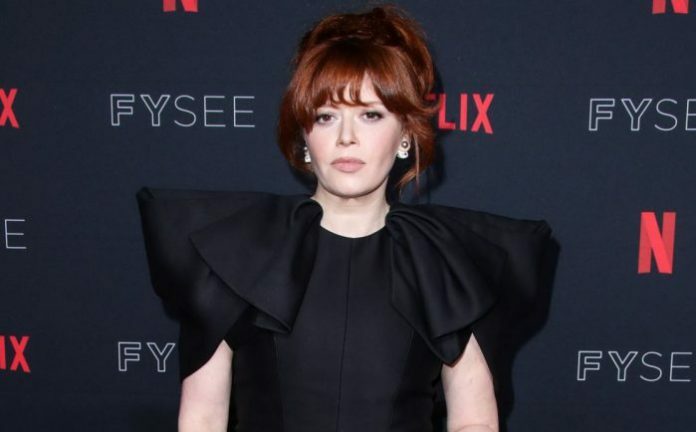 In September 2017 Lyonne’s new project Russian Doll was given an 8-episode straight to series order by Netflix. In 2018 she voiced the character Gaz Digzy on Adult Swim’s comedy series Ballmastrz: 9009. More recently she has voiced characters on The Simpsons and Netflix’s Big Mouth.